Are you planning on becoming the next big bedroom producer, following the lead of artists such as Flume and Pretty Lights? We have found a bedroom producer who is beginning their journey to greatness. At the super young age of 14, Sheph is well beyond his years. 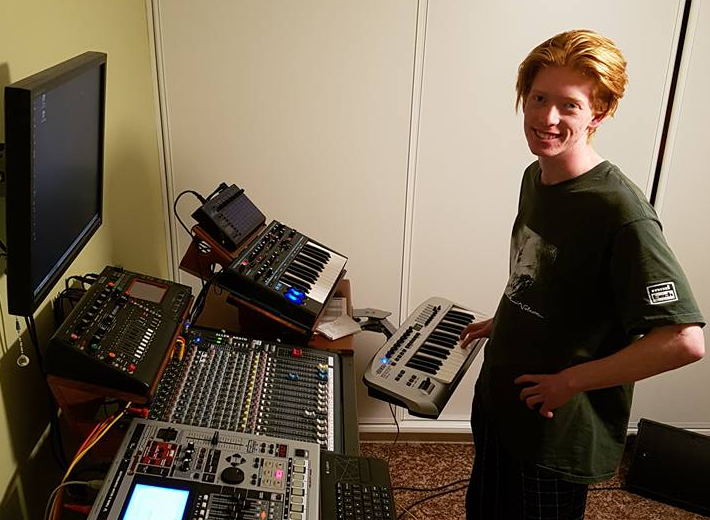 Creating music from his home town of Jindabyne in regional NSW, we wanted to find out what advice he would give for other budding bedroom producers. It’s now super easy to get into bedroom production! You can learn everything you need to know online via Youtube or Wiki-how, get your tracks onto digital stores easily as digital distribution is becoming the norm, and get your music out to the world. With the recent release of his single, 'Whirlpools', and signing to Big Picture Music, we thought it would be a great time to catch up with Sheph to find out how he got here. 1. It's important for all artists to be inspired by other acts. Deadmau5 and Pnau were the artists that sparked it for me in my early days. I guess their style I just really liked and wanted to do it myself. Those two still heavily inspire all my music. 2. Find a producing platform you're comfortable with and teach yourself the basics. My platform of choice is Fruity Loops Studio, but I do experiment with other programs. When I was around 11 or 10, I started using it and my Dad taught me everything he knew. From then on I’ve been super progressive and teaching myself new things almost every day. Heaps of fun!! 3. Recording can be a complicated process and there's plenty of artists out there who just don't know where to start. My song writing process would be starting off with a drum pattern then building the sound from that point into something I like, or sounds cool. But my inspiration is always changing and my processes within it. My tip is to start with a few tutorials on the net/Youtube and learn what you can from them. From that point experiment and see where it takes you. 4. Choose what equipment you will use. The equipment I use in my production process is my midi keyboard and electronic drum set, along with a range of vintage outboard equipment. A lot of the time I will key out a chord or melody on to the midi keyboard then add the drums along to it. At that point I can begin to write patterns to it. 5. And for all of those up-and-coming artists out there, have fun and stick with it even if you feel like giving up...and practice, practice, practice! A big thank you to Sheph for offering up some tips for bedroom producers. Sheph's latest single is out now on iTunes, Spotify and many more. If you're a budding bedroom producer, let us know some of your own tips in the comments section. Do you have you music on Spotify? Check out our blog on how to get your Spotify artist page verified.